Right now I feel like the movie Ghostbusters 2. 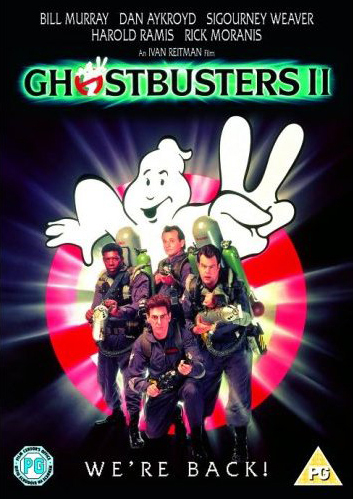 No, I don’t mean I feel like a massive failure to an original great film (not my opinion by the way, I loved GB 2 ), but rather the point of the movie where the band comes back together, straps on the Proton Packs, and speeds away in the Ecto 1 looking for some pesky poltergeists to bust. And the same goes for us here at One Bored Gamer; we’re back in business! (Fingers crossed.) Hooray! What was with the dead activity on our end? Well, sometime before E3, someone shutdown the Containment Unit and caused a big explosion over at O.B.G. Headquarters. The internet blasted thorough the rooftop like Old Faithful, windows shattered, computers and laptops were thrown everywhere, and damaged was caused to the overall foundation of the building – it’s was a terrible sight. OK… so that’s didn’t exactly happen. But the important thing is that we ironed out some issues we were having with the website, and are back on track for the most part. So look forward to seeing a good flow of content coming soon. Hopefully.